Blessing Olubanjo has 27 copyright registrations with Copyright House so far. 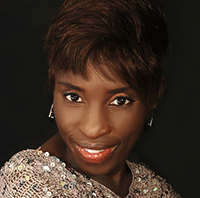 Blessing Olubanjo is a Gospel Singer. She was born in England. She was taken to Nigeria by her dad at the age of 4 where she did most of her studies before returning to the UK. Blessing is gifted by God in so many ways including singing, acting, designing and writing. She started her singing and acting career in Nigeria. She is a graduate of IBIOL (International Bible Institute of London and Middlesex University). Blessing also studied IT, Web and graphic design, Acting, Music and Business Administartion. She is funly called "Bleble" as abreviation for the name Blessing and in order to be distinct from other Blebles on the internet, she uses Bleble247. She is Mentored by Rev Tim Omotoso. By the grace of God, Blessing is moving to the next level. She is an encourager who loves to see people happy and victorious in whatever situation they may found themselves. Hence she has written this life-changing and uplifting song titled "Your Story Will Change". This is her Single released in 2012. This song is Now available at Itunes, Cdbabyand other online stores on the internet. A Music Video will also be available soon. Why not download your copy today and as you listen to it, your story will change in Jesus name. God never fail those who put their trust in Him. Download a copy here. Her most recent Music Album is "Be Magnified " and it contains 8 powerful songs including a very beautiful and catchy Happ Birthday song. You will definitely be blessed when you listen to each song of the album. This album is going to be released soon in 2013. Book written by Blessing Olubanjo " THE GREAT I AM". It is a Masterpiece. Father Abraham acknowledged God by calling Him " Jehovah Jireh" and same with others in the Bible. The Lord has inspired her to put together these names and titles of the Lord from the Book of Genesis to Revelation. The recognised and established names, titles and attributes are also included in this book "THE GREAT I AM". It will definitely bless and encourage you.